Completion of Stage 1 & 2 Dodd Group Scrap Metal Recyclers Yard Upgrade | Serling Consulting ""
In July 2016 Serling Consulting completed the Stage 2 upgrade of Dodd Group’s Scrap Metal Yard on Dundas Road, Forrestfield. This involved adding an additional 2,000m² of high tonnage axel loading concrete slab to Dodd’s yard to enable the metal recyclers to improve recycling logistics and handling. 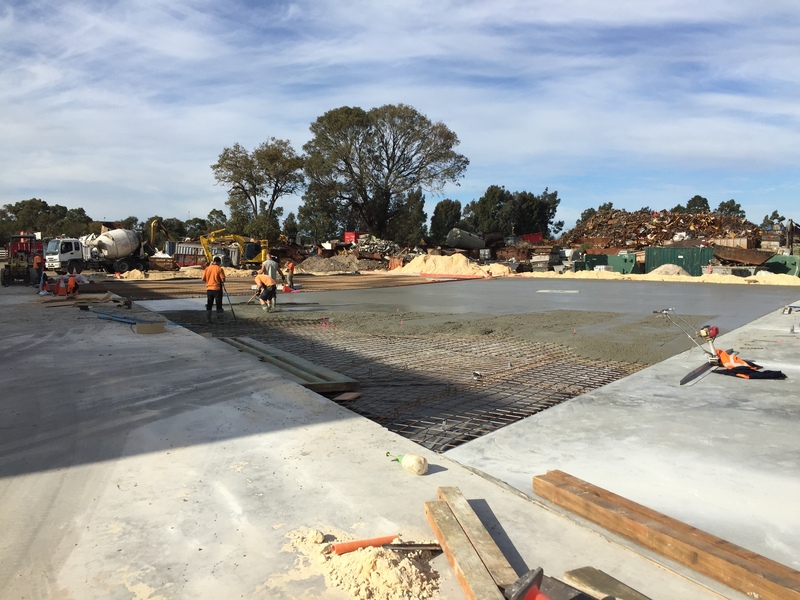 The Stage 2 slab and associated drainage is conjoined with the Stage 1 upgrade which was completed in 2015 and included 800m2 of high strength concrete slab as well as a full redesign of the administration building’s carparking and drainage.